At Regis, we give you more pathways to pursue your goals in health care administration. As a dedicated leader of health administration education, we welcome ambition-driven, self-motivated professionals like you from all health care settings. You can build expert-level health care, business, and policy skills and filter them through your personal experience to create a management style that’s effective across the health care landscape, and one that’s all your own. Why earn your MHA now? Higher standards for health care leadership and management are required in today’s environment. With industry-altering health laws and regulations, changing health care economics, greater use of technology, and new models of delivery, tomorrow’s health care leaders must be prepared to tackle multiple challenges in health administration. View articles and other resources related to the program and the health care industry. *HP620 Field Experience may be waived for those who have at least 2 years of work experience in a relevant healthcare setting, with at least one year in a managerial role, subject to the approval of the Program Director. A managerial role is defined as one in which the student may have managed staff, a program, or a project, as determined by the Program Director. Why choose Regis for your master’s in health care administration? The online MHA is a virtual extension of our highly regarded on-campus program. Regis is accredited by the New England Association of Schools and Colleges. Our courses are taught by active health administration professionals who have an insider’s perspective on the leadership and management competencies the field demands, and we design our curriculum to build those skills. Unlike many health care administration graduate programs, our curriculum also gives you an in-depth view of the political and policy context in which health care services are paid for and delivered. Our commitment to social justice and lifelong learning isn’t summed up in one lecture; it’s woven into each course. Our MHA degree is designed to help you make lasting change in health care by leading and managing organizations to increase access to high-quality health care for all people. We’re here to support you. By offering our distinguished MHA online with several degrees of student support and no GRE requirements, we’re opening the door for health care professionals to tackle the growing complexities of the industry, assume more responsibility, and increase your autonomy and leadership in the field. What can you learn with our MHA? Where can you work with an MHA? Health care administration graduates work wherever health care is delivered or administered. 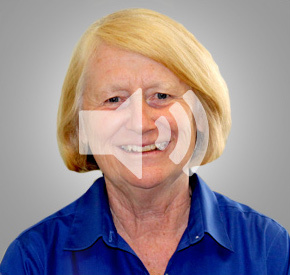 Program director Mary Ann Hart answers frequently asked questions about the Regis online Master of Health Administration degree. You can learn more about the Regis all-inclusive admissions approach and why we encourage students from all disciplines, backgrounds, and experiences to enroll in our online MHA program. Listen now to discover how you can enjoy a rich learning environment through regular discussion boards, focused field experience, and weekly communication. As a leader in education, Regis is dedicated to offering programs with a holistic view of health care and designed for the future of the field. Through cutting-edge coursework, industry-active faculty members, and an array of majors and graduate programs, Regis has been able to positively impact the educational community, health care landscape, and personal lives of students nationwide.